Ever wonder how to make that delicious chicken from Albertsons or Stater Bros? My family loves it! and we all fight over the crispy skin on top 🙂 Usually, this costs anywhere from $7-8 dollars at your favorite grocery store. Stores often have whole chicken on sale for just $0.88 per pound. Which pretty much gives you the same chicken for only $4 depending on its size. Here is a simple way to get that yummy crispy skin chicken–for half the cost that you would get at the grocery store. Find Whole Chicken on sale at Albertsons for just $0.88 through Sunday right now. You didn’t note to let it rest covered with foil for 15 mins. Critical to redistribute the juices, or do you differ? Harry, I’ve never covered it.. i can’t tell you why this works but my chicken always comes out moist! What I think Harry means is to let the meat “rest”, covered maybe, to render the juices for about 15 minutes before cutting it open and letting the juices run out. Just a minor detail, really. Most experienced cooks know to do this without having to specially note. Thanks again for the tips, Josie! I almost made this tonight, but I have meatloaf in the oven instead. I am glad I waited after seeing your post, though. I always ask my husband, “How do they make their chicken so good at the grocery store?” I never even thought of baking soda. I think you mentioned you husband is a chef, right? So I will trust you on the baking soda! Definitely going to try this, thanks. Thanks so much for the recipe and instructions! 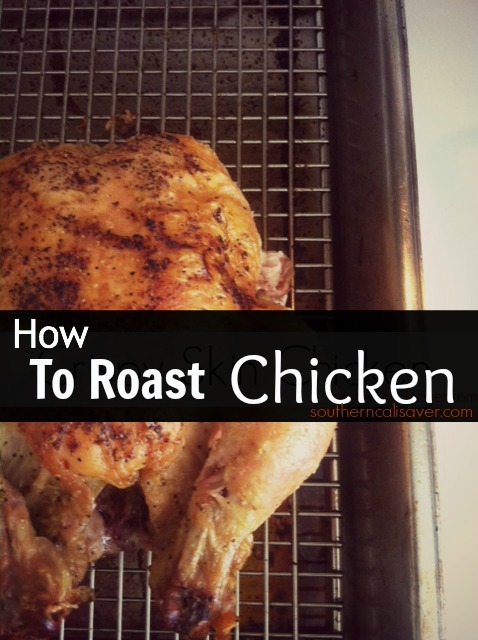 The few roast chickens I’ve made end up kind of slimy… Sounds like the baking soda trick will help a lot! Will definitly try your recipe! At point do you add the seasoning (e.g. lemon pepper)? Just made this chicken recipe for dinner. Everyone loved it. Instead of lemon pepper I used a BBQ rub and turned out yummy! Thanks for the recipe. OMG did this last night and it was AMAZING!!! My 5 year old scarfed it down! I made lemon zest butter and put that on after I pulled it out of the oven and let it rest. This is the first time I have roasted a chicken and I will be doing it again this weekend!!! My chicken was better than the one at COSTCO!! !